Two big news stories broke on September 20, 2016. The first was that the DOT had issued a new policy about self-driving cars. The second was that Brad Pitt and Angelina Jolie were getting divorced. Which story got more coverage? The story about autonomous cars, at least on the news outlets that I monitor. Apparently they are even sexier than Brad and Angie. 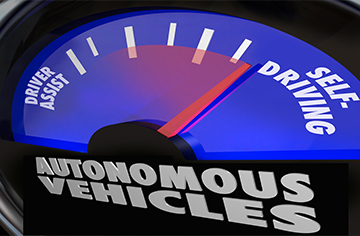 Every day brings two, three or more big news stories about autonomous cars. And a quick review of the biggest news stories about cars over the last half century shows that self-driving cars are the biggest automotive story ever. Edsel, a line of cars made by Ford, existed for only two years before Ford shut it down in 1960. The Edsel was ugly (famously called “an Oldsmobile sucking a lemon”), but really not much different from other cars of the day. The exact causes of its dramatic death are still being argued by social historians. Comedians and TV hosts made jokes about the Edsel. But after a day or two, it ceased to be front-page news. The Chevrolet Corvair, made between 1960 and 1969, was a compact car with a rear-mounted, air-cooled engine, modeled after the Volkswagen Beetle. Then in 1965, Ralph Nader wrote Unsafe at Any Speed, a book that claimed that the car was unsafe. Sales plummeted and four years later, Chevy killed the car. Cartoons about the Corvair appeared in The New Yorker, news coverage was extensive, but the story was hardly daily news. The Toronado, an immense cruiser, was the first car manufactured in America to have front wheel drive. It paved the way for generations of front-wheel-drive American cars. As such, it was a major automotive development. Where did you read about it at the time? Mostly on the pages of car magazines. There it was, the first gas/electric hybrid automobile to be offered to the public. It was a revolutionary change that led to the introduction of hybrids made by Honda, Ford, Toyota and other carmakers. Hybrid cars have since established an important niche position in the automotive market – without ever dominating the news. Tesla made news back in 2008 when it introduced its first car, essentially an electric-powered Lotus roadster. In the years since, Tesla has made more news by introducing its Model S sedan and announcing future models. Now Tesla is making even more news, thanks to its research into self-driving technologies. Too bad that Angelina Jolie and Brad Pitt are breaking up before they could add a self-driving Tesla to their fleet, which reportedly includes a 2014 Tesla Model S. You know they would have wanted one.